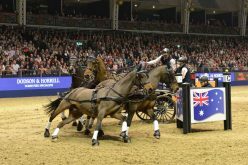 On a day when the home nation USA, secured a stunning victory in the Polaris Ranger driving team title to round off a triumphant FEI World Equestrian Games™ Tryon (WEG), Australian driver Boyd Exell proved he remains in a league of his own by securing a third successive individual WEG gold medal. 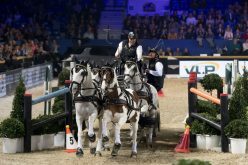 Despite the valiant efforts of crowd favourite Chester Weber, who showed icy composure to drive his team to gold and grab individual silver, no one was able to rival Exell from the moment he entered the dressage arena on day one. 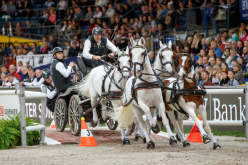 First in the dressage, third in the marathon stage despite driving with broken brakes and second in the closing cones phase, Exell finished with an overall score of 154.14, almost 10 points clear of Weber. 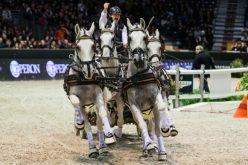 Edouard Simonet, the 29-year-old Belgian who was once a back-stepper for Exell, took the bronze medal with a final score of 174.15. 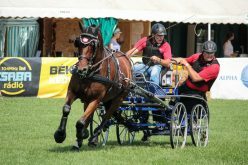 Weber, who also finished second to Exell at the 2014 WEG in Normandy, France, was overjoyed to take an unexpected team title in front of a raucous North Carolina crowd. “I can tell you it was a surprise, I thought we came here with a chance of a medal but if you had asked me if I was going to have a bet on whether we were going to be world champions I would have said I am not sure,” said Weber, whose USA team finished with a winning score of 353.39. Teammate James Fairclough, who introduced Weber to the sport as a 13 year old, already has an eye on the future after the USA beat the Netherlands, the 2010 and 2014 champions, into second and Belgium into third. “I hope it’s going to inspire a lot of people to come forward and try the sport. It’s a great boost for us.” Fairclough said. 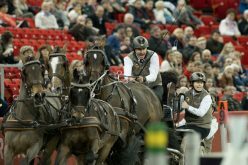 Basking in the glow of winning a WEG bronze medal to go with their 2017 European team bronze, the Belgium team also served notice of their intention to change driving’s established order. 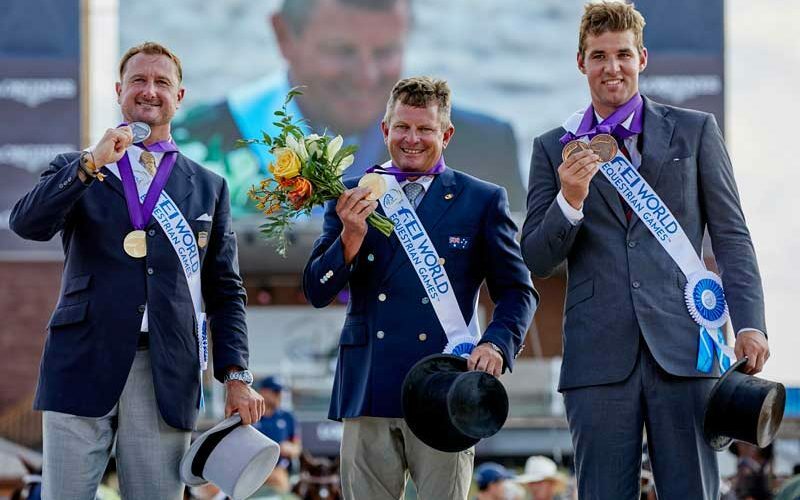 In comparison, traditional powerhouses the Netherlands finished Tryon 2018 lamenting unexpectedly poor marathon performances from their often all-conquering father and son duo Ijsbrand and Bram Chardon. 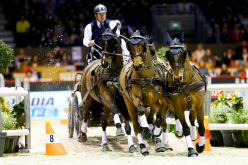 The pair did come out firing on the final day, with 25-year-old Bram Chardon producing the only double clear round. But it was not enough to deliver a third successive team gold.